On July 15th, 1839 a large crowd of people gathered at Holloway Head in Birmingham, in expectation of hearing local M.P. Thomas Attwood address the local community on the issue of working class votes. Just a few days before Attwood’s presentation of a million signature petition, demanding an extension of the franchise, had been laughed out of parliament. Attwood never appeared, there is no evidence that expectation of his arrival was any more than a rumour. As the evening wore on, the crowds dispersed and a large group began to make their way towards the Warwick Road, with the intention of meeting Chartist delegates John Collins and William Lovett, who had been released on bail from the county jail. This group only got as far as Camp Hill, just outside the city centre when a report was received that a man had been assaulted by the visiting Metropolitan police outside the public office. The response was almost instantaneous as a cry went up ‘to the Bull Ring’ and the procession headed back to town, where the windows of the public office were smashed in, and shops were looted and burned. The events that took place in Birmingham on July 15th attracted a good deal of attention. They appeared in the national press, were raised in Parliament and feature in Queen Victoria’s personal diaries. 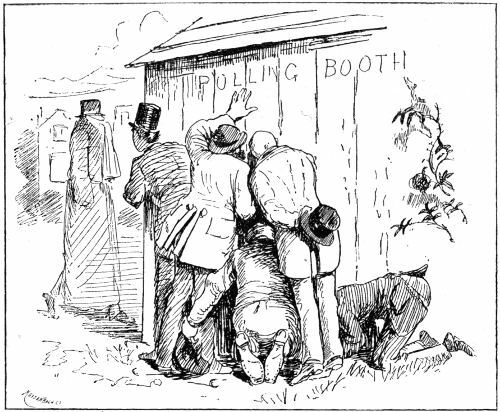 They have remained a significant representation of agitation for voting reform in all significant histories of Chartism. But there is another narrative underlying the rioting which has tended to be overlooked and it is an important one. I believe that the riots which took place on July 15th 1839 were a violent response to policing tactics that were imposed during a time of heightened tensions. There was a sense of communal injustice which can still be witnessed today, such as during the riots which followed the shooting of Mark Duggan in Tottenham in 2011, and of Michael Brown in Ferguson. In Birmingham, 175 years ago it was the working man who was targeted, subjected to stop and search and ‘offensive’ weapons confiscated. In an artisan community these weapons were most usually tools of their trade, without which many were unable to work. Below are a few examples of complaints received about the Metropolitan Police, visiting Birmingham who did not have its own professional force until December of that year. When taken together it is possible to see why the local community felt victimised and, while not an excuse for violence, why a single claim of police brutality might have ignited a keg of tensions. These instances, and others which appeared in the local press, will have been the subject of much local discussion, exacerbating already present tensions during a time of economic recession and unemployment. 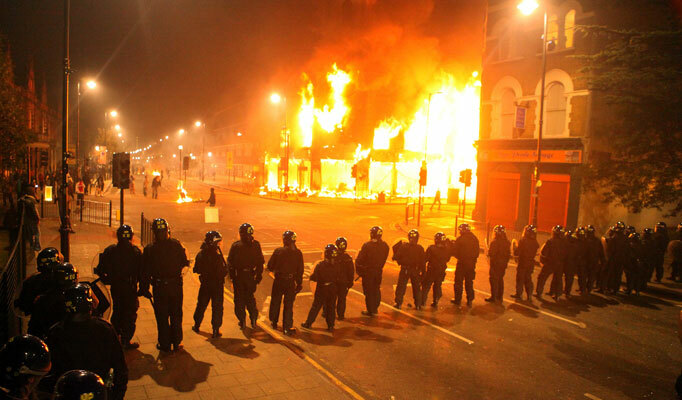 Birmingham was barricaded and subjected to an 8pm curfew, while troops as well as police were patrolling the streets. July 10th, 1839: House of Commons, – Thomas Duncombe, M.P., claimed reports were coming from Birmingham of a concerted assault on civilians by London police and the military. While crowds were assembled in the Bull Ring, the military blocked off all entrances and exits, after which no one was allowed to pass these lines. After some time the Metropolitan police divided into sections, each section followed by a troop of dragoons. Immense crowds were congregated and the police commenced an indiscriminate attack with their staves. Men, women and children were thrown down and trampled upon, while the police beleaguered them right and left. Broken heads with other severed wounds were the result. One man, who was returning from work, had his teeth knocked out. Special constables have expressed horror at what took place. This year marked 175 years since the Newport Rising. It is also 175 years since the Birmingham Bull Ring riots, which took place over several weeks in July 1839. This unrest has also been considered part of the Chartist unrest; three of the men found guilty of being involved in the Birmingham riots were transported to Tasmania on the same ship as John Frost and the other Newport protesters. Several years of research into Birmingham’s Chartist riots has led me to believe that the outbreaks of violence that took place in 1839 were antagonised by the presence of a body of Metropolitan police. During their secondment to the town, the force introduced an invasive stop and search policy, confiscating the tools of many a local artisan’s trade and establishing a mini reign of terror that included one incident of aggressive ‘kettling’ on New Street. This post is to remember a man called John Binnon. His story has been completely overlooked in the analyses of Birmingham’s Chartist riots, but I found it to reveal another narrative of the prevailing unrest. On July 15th, 1839 rioting broke out in Birmingham. It was not the first incident of rioting during that summer. Two weeks earlier a London police officer had been left fighting for his life after a mass brawl had broken out near St. Martin’s church. Rumbling unrest prompted the imposition of an 8pm curfew and dragoons from the local barracks patrolled the streets along with a body of Metropolitan police. The rioting on this evening took a different tone: the windows of the public office were smashed by bricks, shops around the Bull Ring were looted and set ablaze. As residents tried to escape burning buildings down ladders, attending fire officers were assaulted. For some unknown reason, the dragoons and the London police had been given orders by mayor William Scholefield to ‘stand down’ from their recent nightly patrols. It was an unwise move, one which would lead to a criticism from the Duke of Wellington and much heated debate. John Binnon was described as a ‘quiet young man’ by his landlady and other acquaintances who spoke at his inquest. It was claimed that he had no involvement with the Chartists. On July 15th, perhaps out of curiosity, John crossed the Bull Ring, just as the riots were beginning to disperse. He stayed close to the market hall, there is no evidence that he had any involvement in the riots. As he watched the unfolding drama, a foot soldier approached him, ordering him to move along. John replied that he move along when he was ready, a response which must have infuriated the foot soldier who was probably already under a good deal of pressure. The soldier then called on a dragoon who, from atop his horse, made a brutal attack on John, bringing down his sabre and allegedly shouting ‘damn your soul to hell, you will go back’. In his statement to the jury, the dragoon claimed that John had tried to pull the horse down, grabbing the bridle. My own thinking is that John panicked, perhaps putting his hand up to deflect the blows during the terrible encounter. John’s hat and coat were presented to the jury at the inquest. There were clear sabre slices through both and it was revealed that he had received a substantial cut to his elbow, deep enough to expose the bone. He was treated at the General Hospital, dying from septicaemia after having his arm amputated. At his inquest, the jury first returned a verdict of ‘legally justified homicide’. The coroner advised the jury to reconsider, stating that their wording indicated a ‘disapprobation of the law’. The jury argued that the military had over reacted to John’s refusal, but must have acquiesced and dropped the word ‘legally’, as the coroner’s roll has only the words ‘justified homicide’. John Binnon’s reaction to being ordered to move along, for me, revealed a sense of frustration at the situation that had been imposed on the town. The Brummies were tired of curfews and the aggressive uniformed presence. The rioting that took place on the 15th began when a crowd marching along Camp Hill received news that the Metropolitan police had assaulted yet another man in the Bull Ring. There is no evidence that this had happened, but the rumour proved to be the spark that lit a very short fuse. His story shows that history has multiple narratives. That the life of the ordinary man and woman is as relevant to our understanding of the past as the grand narratives. This item is from Aris’s Birmingham Gazette, dated Saturday 10th November, 1866. Copies of Aris’s can be viewed on microfilm in the local studies area at the Library of Birmingham. There is quite a moralistic tone running through this item, particularly at the end where celebrations in the ‘second and third-rate’ areas of the town are reported. The reporter certainly misjudged the continued popularity of Guy Fawkes night. Have a safe bonfire night – and don’t try any of this at home! The celebration of Guy Fawkes day on the 5th of November, although shorn of its former prestige by the fact that the special service appointed for the occasion to be read in churches has been abrogated, still continues to be celebrated by the juvenile portion of the population. Of late years certain restrictions have been placed upon the sale of fireworks, and the making of such dangerous missiles has been removed from the town to places where an accidental explosion could do no damage except to the artisans employed. There are, however, persons to be found who are not only willing to risk their own lives, but the lives of their neighbours by carrying on the dangerous process, and with the view to discover such delinquents, Sanitary-inspector Woolley and his assistants have been actively employed during the past week, and have succeeded in discovering several persons who have been guilty of infringement of the laws. 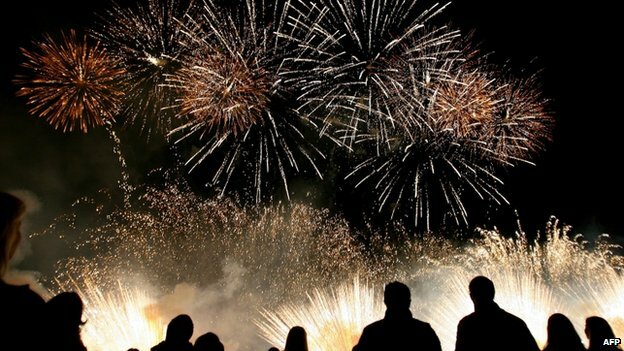 During the past week, Inspector Woolley discovered a large quantity of materials and fireworks in process of manufacture at the premises of Mr. J. Wilder at Duddeston. The whole of the articles were seized. At about five o’clock on Saturday evening, Assistant Inspectors Harris and Wagstaff visited the premises of Mr. Henry Gooch in Steelhouse Lane, where they found the process of manufacture being carried on, and a large quantity of materials and articles in process of manufacture was seized. On Monday Mr. Woolley and officers went to the premises of Mr. Joseph Wilkes in Weaman Street, where they found Mrs Wilkes engaged in filling a quantity of cases, Mrs Wilkes and a girl being engaged in finishing the fireworks. There was also found a quantity of gunpowder, sulphur, charcoal and other materials, all of which were seized by the officers. These persons will be called upon to answer for their conduct in front of the magistrates in due course. Last night a large number of courts in the second and third-rate streets of the town were illuminated with bonfires, and a fair amount of money was wasted in the useless discharge of gunpowder. The march of education has shown its influence in the more orderly manner in which the proceedings of the celebration are conducted; but although the special service for the 5th of November in connection with Guy Fawkes has been discontinued, still the recollection that 5th November is the anniversary of the Battle of Inkermann will cause the expiring celebration of Guy Fawkes day to be celebrated for some time to come.